Sporting News Magazine December 20, 1993. 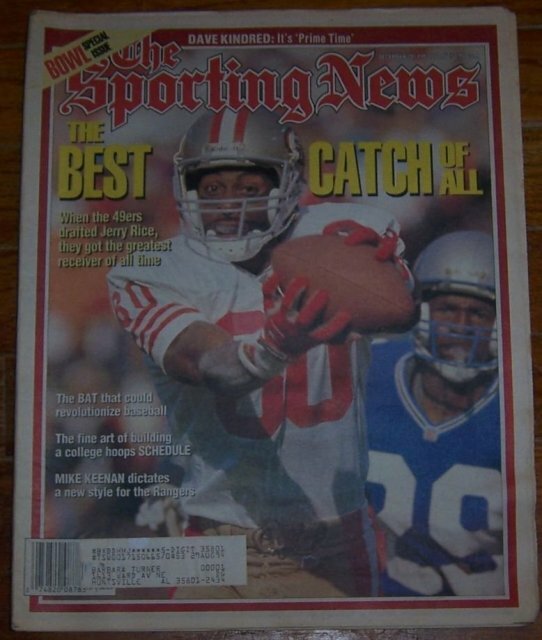 Jerry Rice on Cover. Articles include Jerry Rice, Top 10 Bowl Performances, Wood Composite Bats, Latrell Sprewell, Victories For Sale, Mike Keenan, and more. Filled with great sports illustrations and period advertising. Magazine is complete and in good condition, wear at edges and on back cover. Items Similar To "Sporting News Magazine December 20, 1993 Jerry Rice on the Cover"
Ford Falcon Sports Futura Car 1962 Ad.